The writing of a new Sefer Torah (Torah Scroll) to be housed in the Aron Kodesh (Holy Ark) of a synagogue and read from during services - is a monumental undertaking.Requiring that each of its 304,805 letters be meticulously hand-scribed by a qualified Sofer, or scribe, in accordance with an age-old tradition and hundreds of applicable laws, it is a project requiring many months of arduous and precise labor. As the final commandment recorded in the Five Books of Moses, the writing of a Torah is also a project of transcendent spiritual significance - lending eternal merit to all involved in its facilitation. We invite you to join us in this auspicious mitzvah by partaking in one of the several dedication opportunities of the Torah. You can dedicate a selection for yourself, family or friend. You may choose to mark a personal milestone, a personal simcha, a special occasion, birthday, Yartzheit, anniversary, bar/bat mitzvah portion, etc. 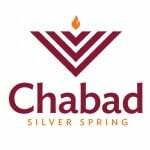 We are pleased to announce that Chabad of Silver Spring will be dedicating a new Sefer Torah in honor of all the children and grandchildren in our community. I'YH, the Sefer Torah will be used for years to come and for many generations. We invite you to join us in participating in this unique Mitzvah. The mantel (Torah cover) of the new Torah will include all the names of our children and grandchildren. The mantel can accommodate up to 1,000 names (first and last) and your child's name will be set as a permanent fixture on the new Torah mantel. Please see the Dedication Page for all of the dedication opportunities. The culmination of this project will be a community-wide Hachnasas Sefer Torah even on Lag B'Omer, May 14, 2017. Details of this event will be shared soon. We hope you will join us in the dedication of the Torah and at this special event.